The Tigers struggled without several key players, only winning five sets. A short-handed boys’ tennis team lost to Temple City, 13-5, Friday, Mar. 29. South Pas now falls to 1-4 in league and 4-7 overall. Singles one junior Desmond Chan excelled as per usual, winning all three sets, 6-4, 6-0, and 6-1. Sophomore David Sohn, singles two, was victorious in his last set, 6-4. 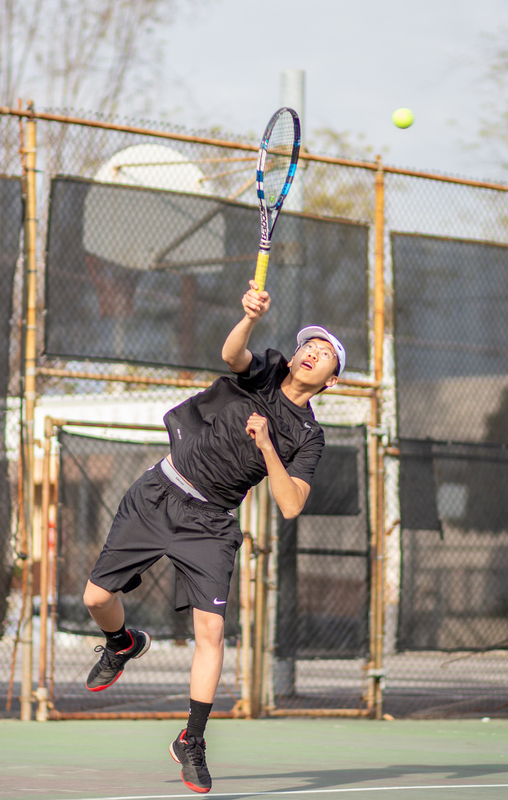 Doubles one, senior Eamon Hornish and sophomore captain Dean Suk, was the only doubles team to manage a win; Suk and Hornish prevailed in their last set, 6-4. The Tigers will have an extended period of rest during spring break and will return to action against San Marino on Wednesday, April 10.